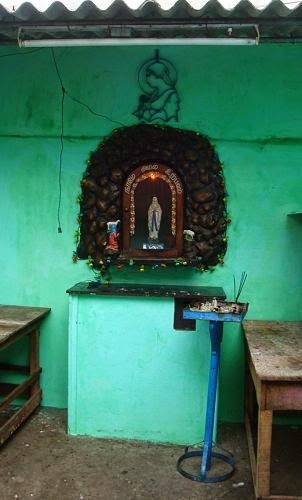 This is a small church in South India. You can see the cultural integration here. 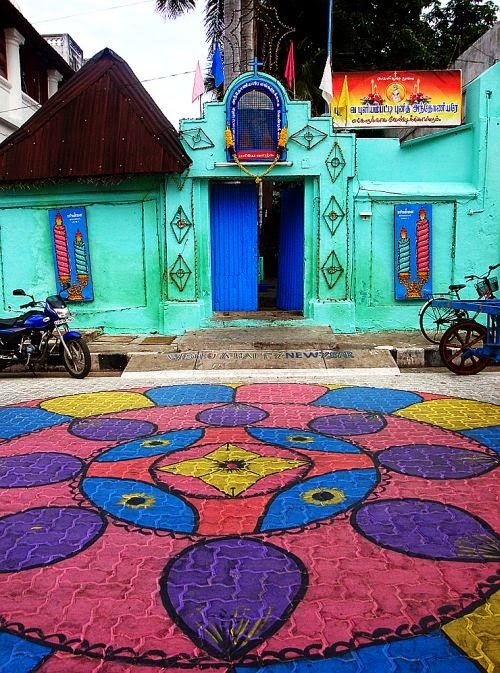 Rangoli at the doorsteps. Colourful. It is a Mother Mary church. A small statue of Mother Mary inside the church. 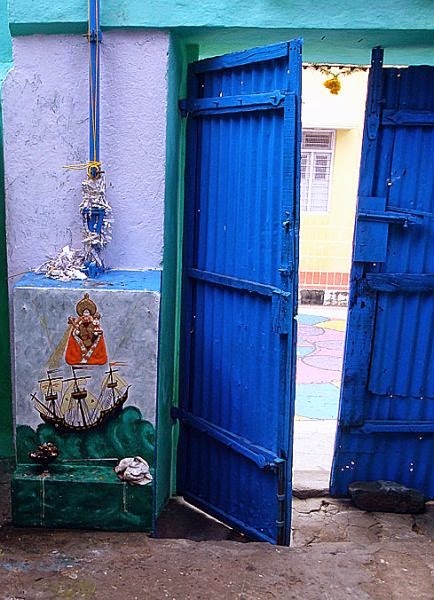 The interiors of the church are as colourful as the outside. A church and a mosque in one place - Hagia Sophia Pictures. A place of worship for both religions - a churchmosque which is most of the time functions like a museum.